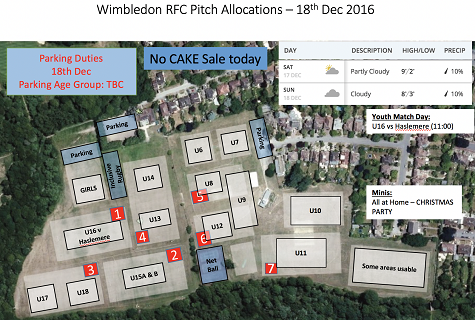 Pitch plan Sunday 18 December 2016 - Minis Christmas party, too! Merry Christmas to all. Big day this Sunday - all the minis are at home and will be celebrating the first half of the season with a party and the customary Jason Leonard award for the kid in each age group who best defines the spirit of rugby. Contrary to the pitch plan there is a cake sale from all those donated. There's also a raffle - DONATIONS PLEASE! The u9s are running the raffle. Best of luck to them! With all funds made from cakes and raffle sales going back to the club, the more you help out the better. 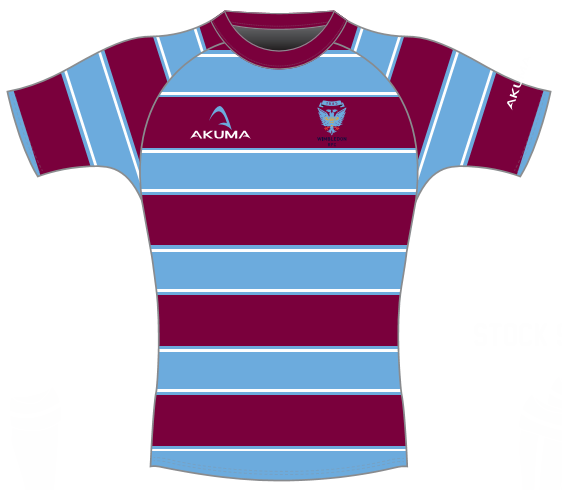 Don't forget the new CLUB SHOP is open from 9.30-ish to 11-ish in the green container in the club carpark. It stocks popular minis kit - tops, shorts etc. It's also the place where you pick up kit you've ordered. Training resumes January 8th 2017. Merry Christmas everyone. We will need parent helpers from each age group to help hand out lunch. Please can everyone bring in cake sale donations. The u11s are marshalling the parking. The u16 have a game against Haslemere.